We offer a professional, reliable buffet service for a wide range of occasions and events. Our food is always freshly pepared by our highly trained cooking staff and beautifully presented by our team. Although there are many different types of buffets on offer, our standards will always stay the same. That is why our customers are happy to enlist our help time and time again, because we make their special occasion that little bit more special. Do you have an important meeting with a client you are looking to impress? Or perhaps an impending deadline which you have all worked so hard on? Do you want to do something but you’re not sure what to do? Well why not let us do all the hard work? One quick call and we can arrange what you would like and for how many people, then, when the time comes we will deliver your lunch straight to your door. Let us take the pressure of dealing with the preparation and delivery of your delicious food so that you can concentrate on your staff or clients. It's quick and easy! Friendly, helpful staff and well presented food. Would recommend. Food was hot and services were good. Will use again. 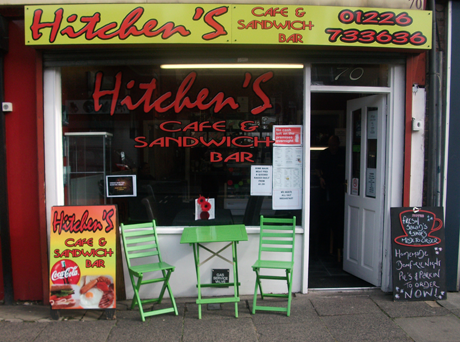 Hitchens Outside Catering is a family run business with over 25 years’ experience in the catering industry. We offer a friendly and highly professional service, believing that our customers culinary needs come first. At Hitchens outside catering we will strive to provide our customers with great quality food for that special occasion. Whether it’s a wedding, engagement, christening, birthday party, garden party, corporate, charity or themed event, Hitchens Outside Catering are the catering company our customers will turn to time and time again to cater their special occasion. We offer a range of buffets to suit all occasions and budgets but if you don’t find what you are looking for then please do not hesitate to give us a call so that we can be happy to discuss your individual requirements and we will make every effort to accommodate them.